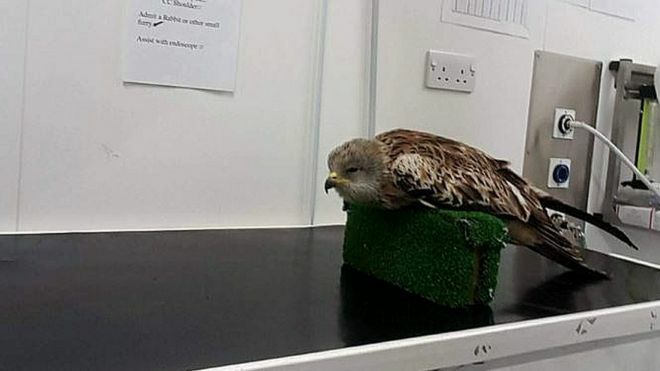 A rare red kite had to be put down after it was found shot and blinded in County Durham, the RSPB said. The bird was found alive in Derwent Gorge, near Shotley Bridge, by a member of the public. However, after it was found to be blind it was euthanized. Since 2010, six kites have been poisoned or shot near Derwent Gorge, including a red kite found poisoned in nearby Muggleswick in 2014. Like all birds of prey, red kites are protected under the Wildlife and Countryside Act 1981 which makes it an offence to deliberately kill or injure a wild bird. Those convicted can face an unlimited fine or up to six months in jail.